If you are interested in owning the worlds largest official video game collection that has been verified by The Guinness Book of World Records and is approaching 12,000 unique games. You will be pleased to know that the collection is going up for auction. Previous Richard Lecce had held the record since September of 2010 but Michael Thomasson is the current record holder and will be auctioning his collection off. Thomasson explains a little more about his collection and the process of getting the collection verified by Guinness. Also check out the video below to see the process in action. 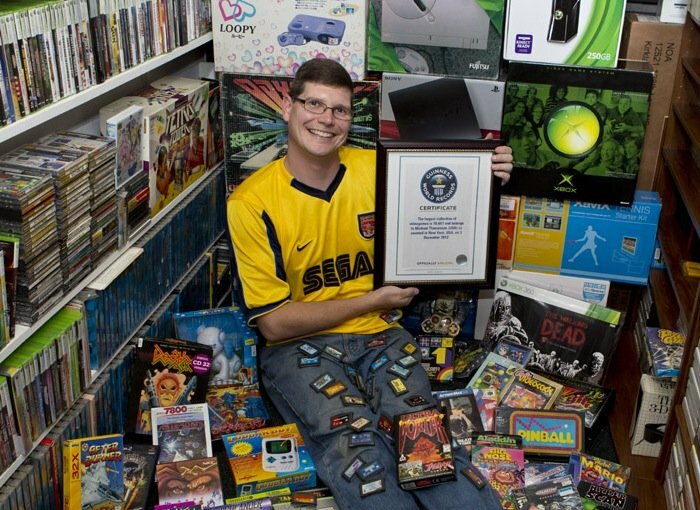 “When I purchased the 2011 Gamer’s Edition of the Guinness Book of World Records and saw the entry, I knew that I was close if not already over the standing record. I then began to track my collection with Game Collector videogame inventory software from Collectorz.com. I recommend it to others interested in doing the same. It is the only software that I could find that was capable of logically sorting such a massive collection. I kept my buying down to less than $3000 per year. So, I waited for deals as I would never have reached the number I did if I went out and bought every new game released at $60 a pop. The last game that I paid full price was the game Shenmue for the Dreamcast on Nov. 8th, 2000. The venture with Guinness was a long road to travel. The paperwork (and photographic & video submissions) required was extensive. The box of required materials was massive and weighed a good twenty+ pounds.